After leaving an abusive relationship with her 2 children, Catherine has struggled and remained homeless for the last 4 years. Living with family and in transitional homes, Catherine has managed to maintain a job at McDonald’s and is working her way up the ranks. A few weeks ago, Catherine got good news, she has finally qualified for the subsidized housing she so desperately needs! However, there is a catch. The home is in Asheville, NC, two hours from her family and the city she knows. While moving and learning a new city will be tough, Catherine is excited about her children having a place to call their own saying, "it is exhausting for me and the kids to always have to live by someone else’s rules and not have a home – they deserve this." We have spent the last few weeks working with Catherine to plan and organize her move, helping to pay the deposit so she still has some savings when she moves in, and collecting the essential home goods she needs in order to provide a warm home for her children. We are thrilled to be able to send her to Asheville with a Uhaul full of items for her new start, all thanks to many of you who so generously donated money and home goods! If you still want to help Catherine and other families in our program that are working hard to move forward, donate through our website HERE or CONTACT US for the latest update of items we still need. Also, we are looking for a cheap or free washer and dryer set (gas hook up dryer). Raffle for Lion King Tickets! 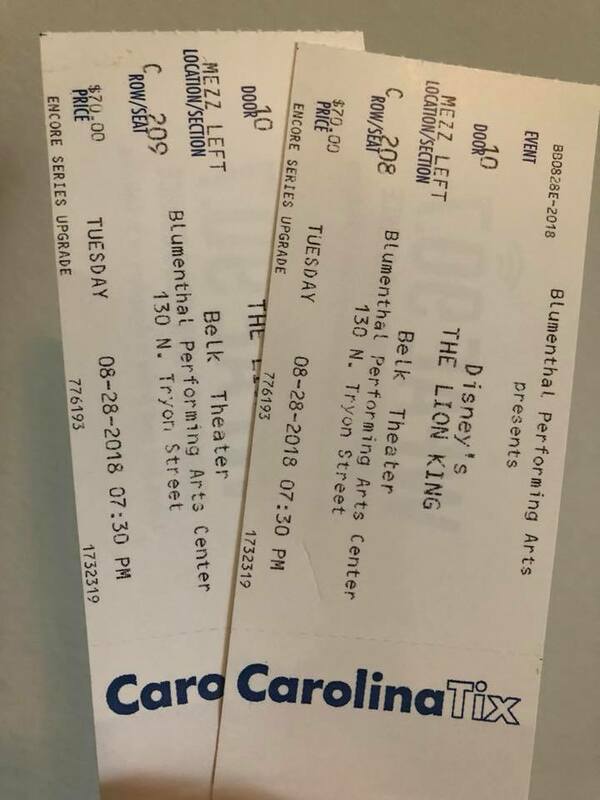 A $20 donation before June 24th will enter you in a raffle for these Lion King tickets on August 28th (a $140 value)! Simply go to our WEBSITE to make a donation of $20 or more and we will host the live drawing on our Facebook page on June 25th! Because so many of you cared enough to give to the "Our Kids Summer Camp Scholarship Fund", FIVE elementary children from our Family Assistance Program are attending Summer Camp for the entire summer! This is so important as it allows their parents to continue employment over the summer knowing their children are cared for. Thank you Bridgette, for your matching challenge that raised over $2000, and for everyone that shared and contributed to the fund! 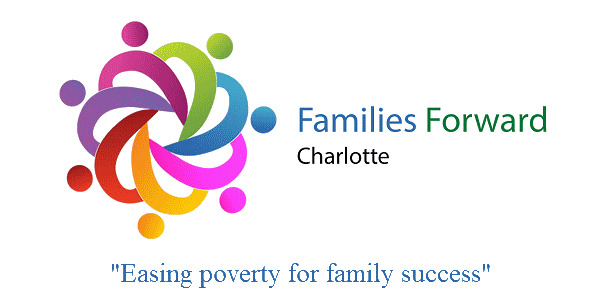 Contact Dena at dena@familiesforwardclt.org if you would like more information or to sign up for any of these opportunities! * Charlotte Prep 8th grade Advisory for packing 60 Weekend Food Packs! * Bank of America’s Global Procurement Team for purchasing the food for and packing 60 Weekend Food Packs! * Waddell Language Academy for hosting a donation drive and providing over 2000 school supplies!